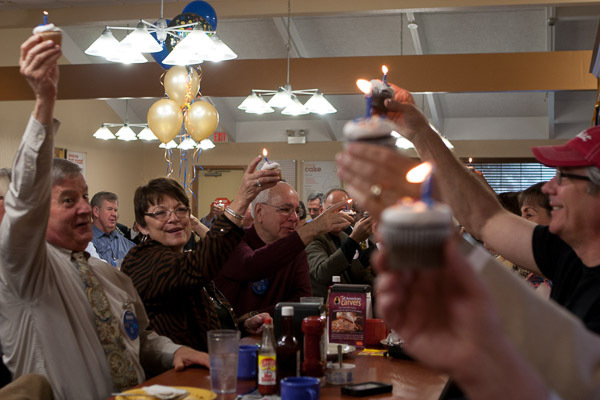 Sooner Rotarians lifted a cupcake toast to the 25th anniversary of the club at the Tuesday morning meeting. President James Harp led the group in the celebration which included comments from nine of the charter members who are still active in the club. They are Keith Busking, Greg Buwick, Pete Dowling, Phil Linneman, Doug Lyle, Lynne Miller, Kevin Murphree, Grover Ozmun and Bob Usry. 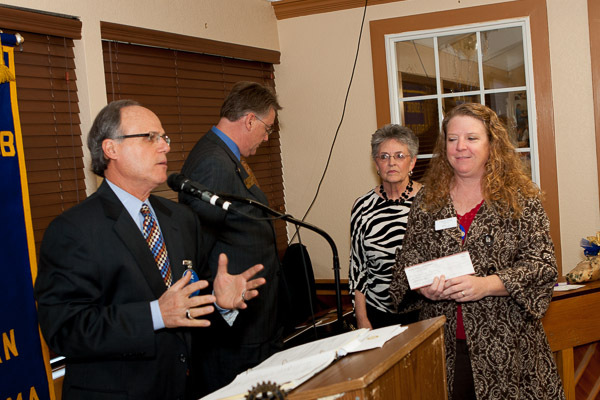 As a part of the 25th anniversary celebration, special gifts were made to the Norman community. 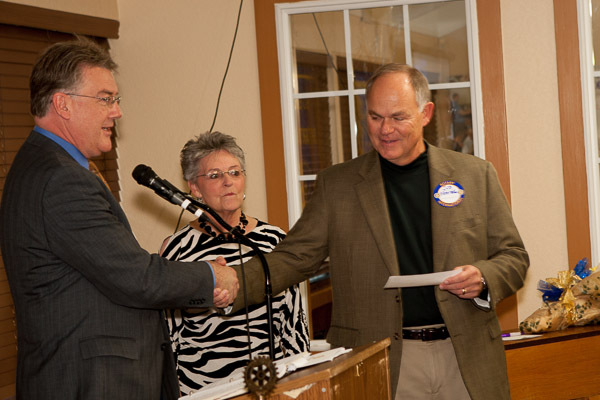 Jud Foster of the City of Norman Parks and Recreation department was given a check for $5,000 for the purchase of ten trees for Andrews and Rotary parks to help replace those lost to a tornado last spring. Christy Imeg and Supt. Joe Siano of Norman Public Schools accepted a check for $6,600 for the Early Birds programs at Kennedy and Adams elementary schools.